Mary Oliver, Who Believed Poetry 'Mustn't Be Fancy,' Dies At 83 Oliver wasn't always appreciated by critics, but she was still one of the country's most popular poets. In 2012, she told NPR, "Poetry, to be understood, must be clear." 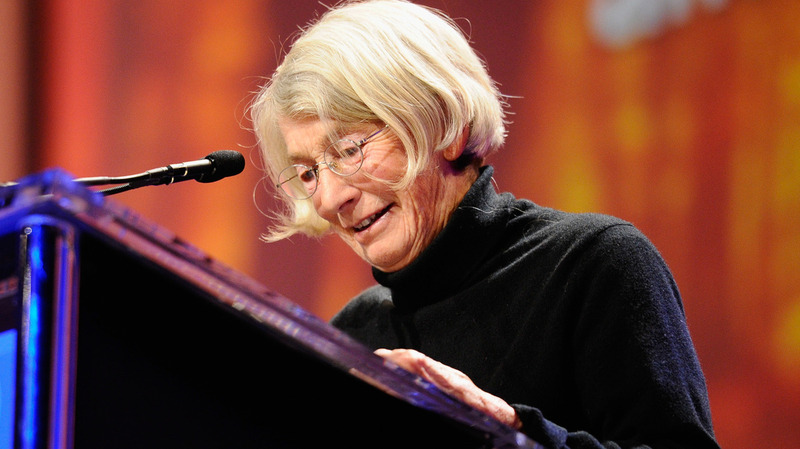 Poet Mary Oliver speaks at the 2010 Women's Conference in California.